Foster youth in Indiana are less likely than other students to receive a quality education according to the first ever state assessment on the group. 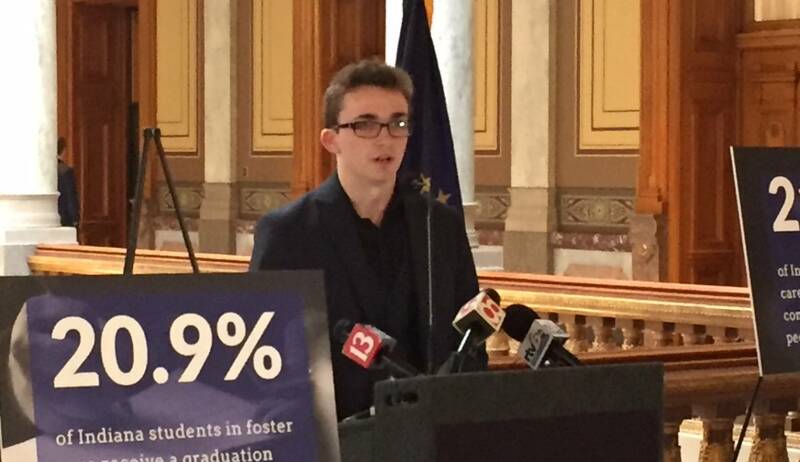 In Indiana, 64 percent of foster youth graduate from high school, compared to 88 percent of their peers. The new report from the Indiana Department of Education finds foster youth in the state are also more likely to be suspended or homeless. Brent Kent, CEO of the charitable group Connected by 25, says the report is long overdue. And he says it only covers a portion of the state’s estimated 17,000 foster care students. Kent’s organization works with youth while they transition to adulthood, and says lack of education is their biggest hurdle. Former foster youth Joshua Christian was placed in multiple homes and changed schools many times. Connected by 25 calls for a state plan to assist student, and for tax credits to support the non-profits that help them. Kent says foster youth are at a disadvantage. “Indiana foster children are being denied equitable educational opportunities due to their involvement in the child welfare system,” says Kent. Indiana has more children in foster care than any surrounding state.